Funny Little Bunnies (film) Silly Symphony cartoon; released on March 24, 1934. Directed by Wilfred Jackson. At rainbow’s end lies the magic land of the Easter bunnies, preparing Easter eggs and candies. Birds and animals help in the creation of painted eggs, using such oddities as plaid and polka-dot paint, and chocolate bunnies. 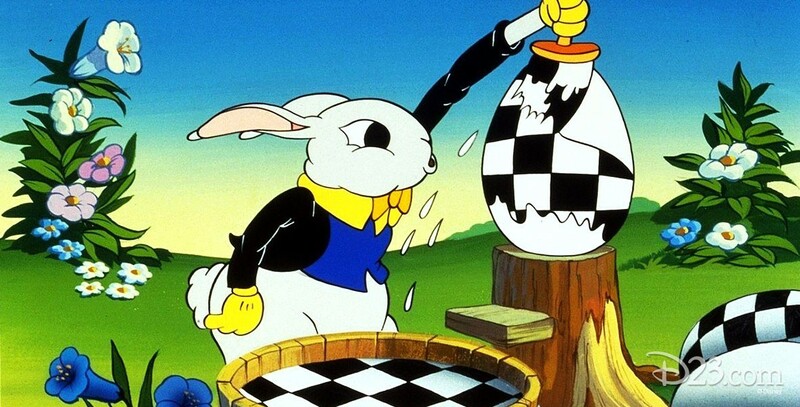 The only Easter-themed Disney cartoon, this was the first film on which later director Wolfgang Reitherman animated.